The book of Amos has only nine chapters and is considered one of the minor prophets. As you may know, the term minor is not referring to the importance of the message, but rather the size of the work. The larger works or the major prophets are Isaiah, Jeremiah, and Ezekiel. Arguably, Lamentations and Daniel should also be included as major prophets though some would classify them among the “writings”. I leave that argument for others to engage in. Besides Amos the other minor prophets are Hosea, Joel, Obadiah, Jonah, Micah, Nahum and Habakkuk. Amos was written in the eighth century BC around 760. Scholars refer to Amos as the first of the writing prophets. He is contemporary with Isaiah, Hosea and Micah. As an interesting side note, the minor prophets, with the exception of Joel and Obadiah, are arranged chronologically in our Bibles. The study of any Biblical book is crucial to our overall perspective and understanding of God’s written message to us. Be wary of the one who would claim, “the Old Testament is simply history – modern day believers need only really understand and apply the New Testament truths.” Not only is this perspective absolutely wrong, it is a total mischaracterization of almost all of the New Testament where we find numerous references to the Old Testament. If you want to understand as much as can be understood of the nature and character of God, you must read and understand not only the New, but the Old Testament. Because this is true we will consider the book of Amos. There is a second reason to study this short book. Because Amos is one of four books written in the 8th Century BC, it can contribute to a clearer view into the Biblical past when we consider it along with the other books of the same historical epoch. Studying the book of Amos in view of the others in the same century is like assembling a three dimensional puzzle – difficult, sometimes frustrating, yet rewarding when complete. It is beyond my ability to provide an exhaustive study of any Biblical book, but I will attempt to provide a useful overview of the book of Amos. Hopefully we will all learn something along the way and have fun discovering a few new things about the man and the amazing little book he produced. Amos 1:1 The words of Amos, who was among the sheepbreeders of Tekoa, which he saw concerning Israel in the days of Uzziah king of Judah, and in the days of Jeroboam the son of Joash, king of Israel, two years before the earthquake. Unfortunately most modern day christians rarely read the Word of God let alone engage in any systematic study of it. According to a survey conducted by Lifeway research on April 25, 2017, less than half of worship attenders read the Bible daily. It breaks my heart to realize most modern day christians have adopted a causal approach to the Bible. Such a person loses out on the joy of discovery. They miss out on the opportunity to see God’s love and goodness toward them as demonstrated in the pages of His message written to us. As we read and study the Holy Bible, we discover hidden nuggets of truth demonstrating God’s meticulous attention to the minutest detail in the communication of His message. One nugget of truth that remains hidden unless we purpose to uncover it, is found in the meaning of the name Amos. According to the Faithlife Study Bible, Amos Means “burdensome” or “burden-bearer.” Did the parents of this baby who would one day become a prophet think they came up with his name on their own? Is it a coincidence that in keeping with the meaning of his name Amos would grow up to shoulder a burden for the northern kingdom as a prophet of God? No. Through the meaning of the name Amos God is demonstrating the intentionality of His message recorded in this small book. Who was this man Amos? Verse one tells us both his profession and his place of origin. He was a sheepbreeder. Consider the following from the Faithlife Study Bible. Amos is no ordinary shepherd. The Hebrew term used here occurs only one other time in the OT, where it refers to Mesha, king of Moab, as someone who bred sheep (2 Kgs 3:4). 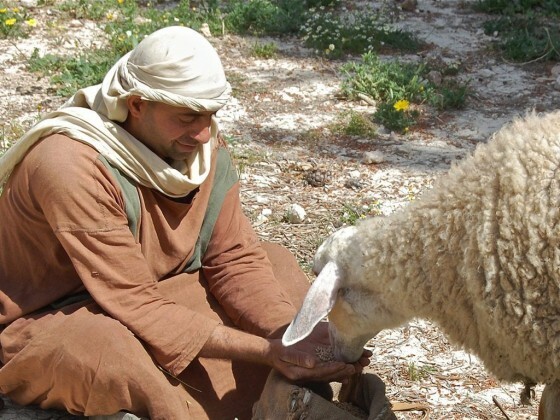 Mesha’s substantial tribute and his status as king of Moab indicate that a noqed [Hebrew transliteration] was a large-scale livestock breeder, not a poor, common shepherd watching someone else’s flocks. In all likelihood Amos was a rich business owner. Have you been living under the false notion that to serve God equals being poor? That God cannot or will not use someone wealthy? Amos is one Biblical evidence to the contrary. Your financial standing does not qualify nor disqualify you as a servant of the living God. The only qualification for a believer to enter into God’s service is obedience to His will. We must respond to God when He calls or directs. God will see His purposes fulfilled with or without us. The question is whether or not will we enjoy the blessings of having been in the service of our Lord and King. Let’s decide to have regular encounters with God through His Holy Word. Let’s resolve to serve the creator of the universe in anyway He sees fit. If we do these things I am confident we will be blessed beyond measure. God is truly worthy of all our praise, worship and service. No Replies to "Amos Overview"